It doesn't have Donkey Kong Country or GoldenEye, but Rare Replay does offer a neat challenge for Battletoads fans: how long can you stay alive on the infamous speeder bike sequence? 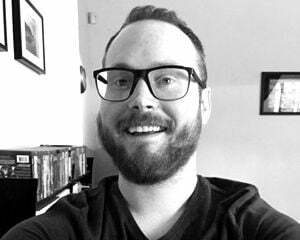 During a hands-on session with the 30-game bundle, I was told that someone at the studio managed to survive for four minutes before wiping out. I got nervous just hearing about it. Besides bundling 30 years of history onto a single Xbox One disc, Rare Replay has little challenges for some older titles and behind-the-scenes interviews with current and former staff. I tried out several of those earlier titles, like Jetpac, Banjo-Kazooie (looks crisp! ), and Viva Piñata: Trouble in Paradise (less crisp, but still adorable). This collection will be worth it for folks who hate using their old, slow, nearly-dead Xbox 360. Speaking of which, thanks to the upcoming backward compatibility functionality on Xbox One, your save data can be transferred into Rare Replay. Jetpac (1983, 1-2 players) – A single-screen shooter where Jetman must reassemble and fuel his rocket while fending off alien hordes. Atic Atac (1983, 1 player) – A top-down adventure with increased replayability, thanks to randomized object locations and three different character classes. Lunar Jetman (1983, 1-2 players) – A return to the Jetpac sidescrolling formula, but with a scrolling, randomly generated landscape and much more to do. Sabre Wulf (1984, 1-2 players) – A classic jungle maze game and the first appearance of explorer Sabreman, tackling dangers including the vicious ’Wulf itself. Underwurlde (1984, 1 player) – Rare’s first true platform game. Help Sabreman survive the perils of the Underwurlde and escape through one of three exits. Knight Lore (1984, 1 player) – The introduction of Ultimate’s groundbreaking isometric Filmation engine. Sabreman must scour the castle for items to cure his werewolf curse. Gunfright (1986, 1-2 players) – A Wild West spin on the isometric style, with an improved engine and new first-person target-shooting sections. Slalom (1987, 1-2 players) – Rare’s first console game. Make it to the bottom of each course before time runs out, while avoiding trees, sledders, snowmen, and other skiers. R.C. Pro-Am (1988, 1 player) – A responsive racing game that inspired elements of Rare’s future racers, including speed boosts, upgrades, and collectible power-ups littered around the track. Cobra Triangle (1989, 1 player) – Hop into a boat and power through a branching game world, completing challenges such as shooting targets, disposing of mines, and defeating leviathans. Snake Rattle N Roll (1990, 1-2 players) – A fast-paced isometric adventure. Rattle and Roll must eat Nibbley-Pibbleys until they’re heavy enough to ring a bell and open the exit. Digger T. Rock (1990, 1-2 players) – A 2D platformer, in which Digger must find an exit switch, stand on it, then make it to the exit in 60 seconds. Solar Jetman (1990, 1 player) – A game built around exploration and physics; Jetman has to tow fuel and other items to his mothership. Battletoads (1991, 1-2 players) – Skill and perseverance as required as the ’Toads take on multiple game styles to rescue Pimple and Princess Angelica from the Dark Queen. R.C. Pro-Am II (1992, 1-4 players) – This sequel to R.C. Pro-Am features a wider variety of environments, more car customization options, and bonus games. Battletoads Arcade (1994) – The first Battletoads game to allow all three ‘Toads to play simultaneously. It has never had a home release... until now! Killer Instinct Gold (1996, 1-2 players) – The home version of Killer Instinct 2features several multiplayer modes (including tournament mode), and a training dojo. Blast Corps (1997, 1 player) – This cult classic sports a fleet of destructive vehicles (from bulldozers to robots), used to clear the path for a runaway nuclear missile carrier. Banjo-Kazooie (1998, 1 player) – A 3D platformer adventure, wherein Banjo and Kazooie must take on the evil witch Gruntilda, who’s kidnapped Banjo’s sister Tooty and plans to steal her beauty. Jet Force Gemini (1998, 1-4 players) – This interstellar action adventure mixes third-person exploration and alien-blasting action, as the last three JFG members go up against Mizar. Perfect Dark (2000, 1-4 players) – In this stealth-based shooter set in the year 2030, players lead secret agent Joanna Dark against the DataDyne Corporation, uncovering an alien conspiracy that takes her around the world. Banjo-Tooie (2000, 1-4 players) – This sequel builds on Banjo-Kazooie with larger worlds, separately controllable characters, multiplayer modes, and many more moves to learn. Conker’s Bad Fur Day (2001, 1-4 players) – A beloved comedy adventure that mixes up lots of genres (platformer, third-person shooting, racing) with mature humor, pop culture references, and parodies. Grabbed by the Ghoulies (2003, 1 player) – Rare’s first Xbox game! A comic book beat-’em-up, set in a haunted house filled with breakable scenery and Ghoulies of all kinds. Perfect Dark Zero (2005, 1-4 players locally, up to 32 players online) – This Perfect Dark prequel reveals Joanna Dark’s origins, and fuses first-person shooting with third-person, cover-based combat. Kameo: Elements of Power (2005, 1-2 players locally or online) – A fantasy adventure focused on combat and exploration, with Kameo able to transform into 10 different Elemental Warriors. Viva Piñata (2006, 1-2 players locally) – A magical gardening/life sim, in which the player can cultivate a garden paradise, attract different Piñatas, and keep them safe from Professor Pester and his Ruffians. Jetpac Refuelled (2007, 1-2 players locally or online) – A modern update to Jetpac. Assemble and fuel your rocket before blasting off to the next of 128 challenging stages. 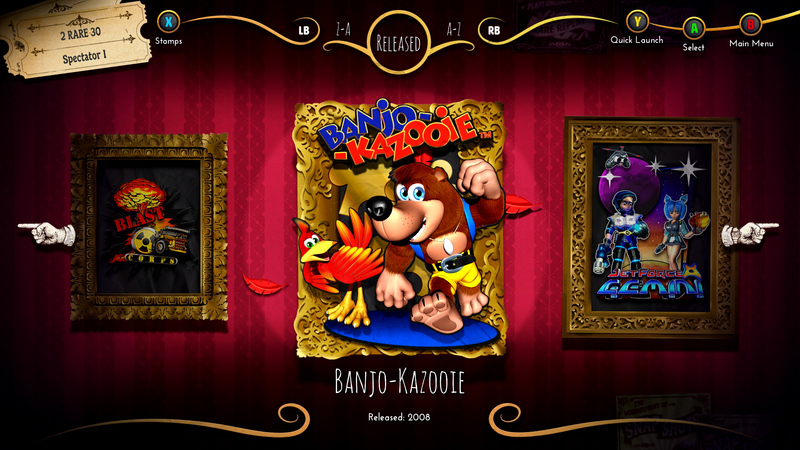 Banjo-Kazooie: Nuts & Bolts (2008, 1-2 players locally, up to 4 players online) – A more open-ended, customizable approach to the Banjo series, with vehicle-based challenges set by L.O.G. (the Lord of Games). Viva Piñata: Trouble in Paradise (2008, 1-2 players locally or online) – The sequel to Viva Piñata features new species of piñatas, as well as desert and arctic regions to capture them from. Rare Replay will be out for Xbox One on August 4, 2015. Remember the good times?